The snack bar is situated on Level -1. 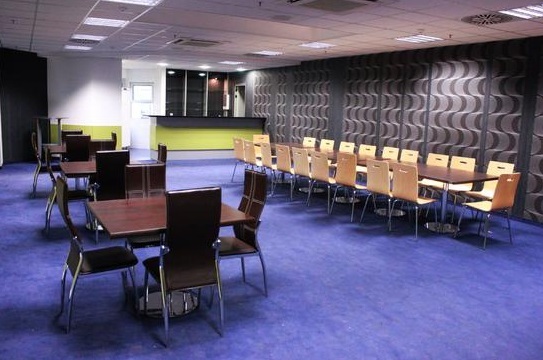 It has 40 seats and offers snacks and refreshment drinks to the athletes and all the other visitors of the Arena. It has a kitchen area attached, with stockrooms and WCs.